Lansdale's longstanding Chinese restaurant Yantze Gourmet (2333 Welsh Rd., 215-361-7600) now has a gluten-free menu that includes noodle and fried rice dishes and other options can be modified. (Thanks, Abby S.) All orders are prepared from scratch. All dressings and most salad ingredients at Sweetgreen in University City (3925 Walnut St., 215-386-1365) and in Ardmore (68 Coulter Ave., 610-642-9400) are gluten free. Wayne's Oasis Juice Bar (224 Sugartown Rd., 610-254-9797) has a 100% gluten-free menu that includes shakes, smoothies, juices and desserts. Al Dente Italiana in Moorestown (1690 Nixon Dr., 856-437-6593) offers both corn and brown rice pastas and can prepare other menu options gluten free from its scratch kitchen. Marlton mainstay Joe's Peking Duck House (145 Rt. 73 S., 856-985-1551) has a gluten-free menu with soup, appetizers and entrees among the choices. In Delaware, Greenville's BBC Tavern and Grill (4019 Kennett Pike, 302-655-3785) has an extensive gluten-free menu, while Roma Italian Ristorante in Dover (3 President's Drive, 302-678-1041) serves gluten-free pasta. Also in Dover, The Greene Turtle (391 N. Dupont Hwy., 302-264-9612) has opened its newest location, where a gluten-free menu is on hand. Dunkin' Donuts has decided not to proceed with its plan to have a gluten-free donut and muffin option at U.S. stores, according to Gluten-Free Living magazine. 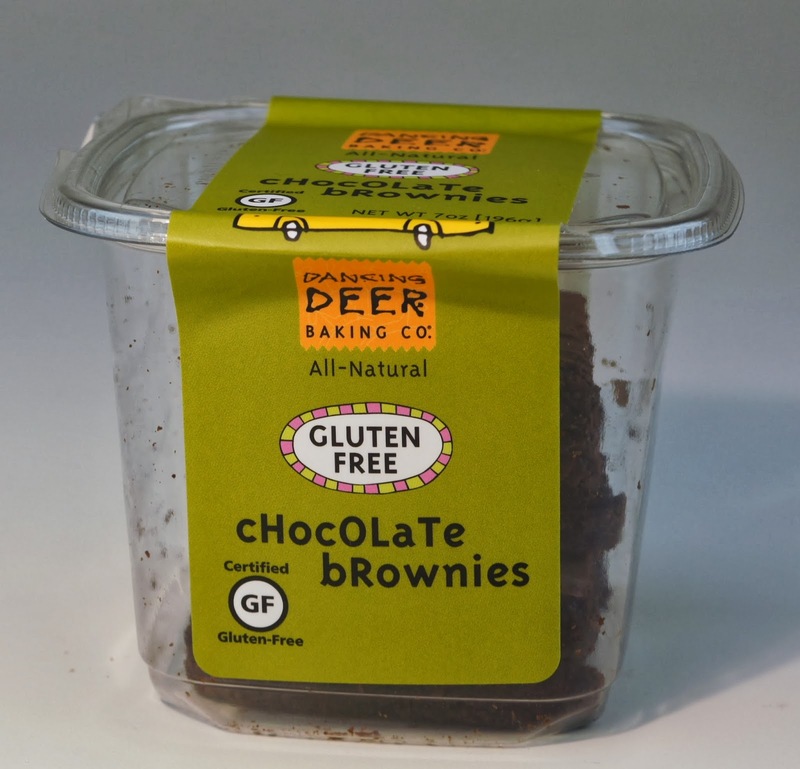 All-natural baker Dancing Deer Baking Co. has introduced a gluten-free (and nut-free) chocolate chunk brownie that is available for online ordering and will soon be distributed to Philadelphia-area markets. Made with semi-sweet chocolate, brown rice flour and sorghum flour, the brownies are produced in a dedicated facility. As I wrote on Tuesday, Evol Foods has several new microwaveable entrees coming soon, including two gourmet mac-and-cheese varieties and some additional chicken dishes. 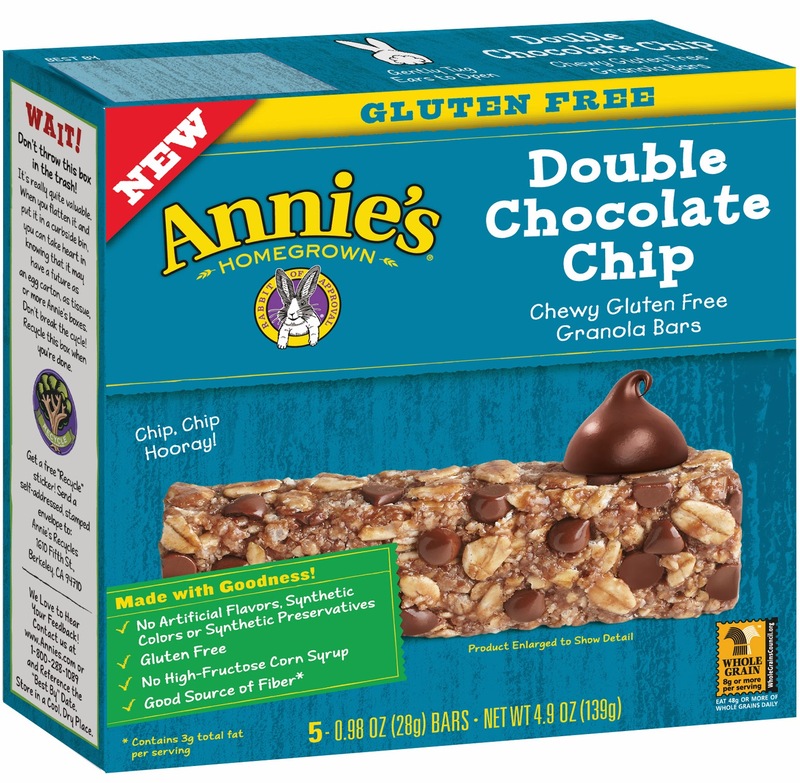 Annie's has extended its gluten-free line with two chewy granola bars. The Double Chocolate Chip and Oatmeal Cookie are made with gluten-free toasted oats, contain 8 grams of whole grains, and have no artificial flavors, colors or preservatives. It's Girl Scout cookie season, which means gluten-free cookies have arrived. As I reported last September, the Eastern Pennsylvania council (covering Philadelphia and the western suburbs) is one of just 20 nationwide whose troops are selling gluten-free chocolate chip shortbread cookies. Ask your friends and co-workers with Girl Scouts in the family to place an order. The NJY Camps in the Poconos are hosting their annual Gluten-Free Family Camp Weekend May 30 to June 1 in Milford, Pennsylvania. The sleepaway camps have a dedicated gluten-free kitchen that will be utilized over the weekend, which will include use of private cabins, including pools, lakes, ropes courses, art shops, family entertainment, kosher gluten-free meals, day camp for kids, and programming for adults. The cost for each adult is $275 and children 0-18 are free. Get more information by calling 973-575-3333 ext. 113. The Gluten Free Philly app for iOS and Android devices is now available. Find more than 1,200 area gluten-free-friendly businesses on the go, search by cuisine or neighborhood, and more!